Where do the boundaries lie in architecture photography? Should it be limited to photographs of buildings and furnishings, or should it be extended to include landscapes? And again, is it right to include the people who live in these buildings located in cities and towns? Probably it is the idea of boundary itself that is misplaced. Where do the boundaries lie in architecture photography? Should it be limited to photographs of buildings and furnishings, or should it be extended to include landscapes? And again, is it right to include the people who live in these buildings located in cities and towns? Probably it is the idea of boundary itself that is misplaced. Wanting to separate and classify the arts so we can call them by name could turn out to be intellectually misleading. These are some of the thoughts that come to mind with the presentation of David Leventi's work on Floornature, a site that focuses on design and architecture. 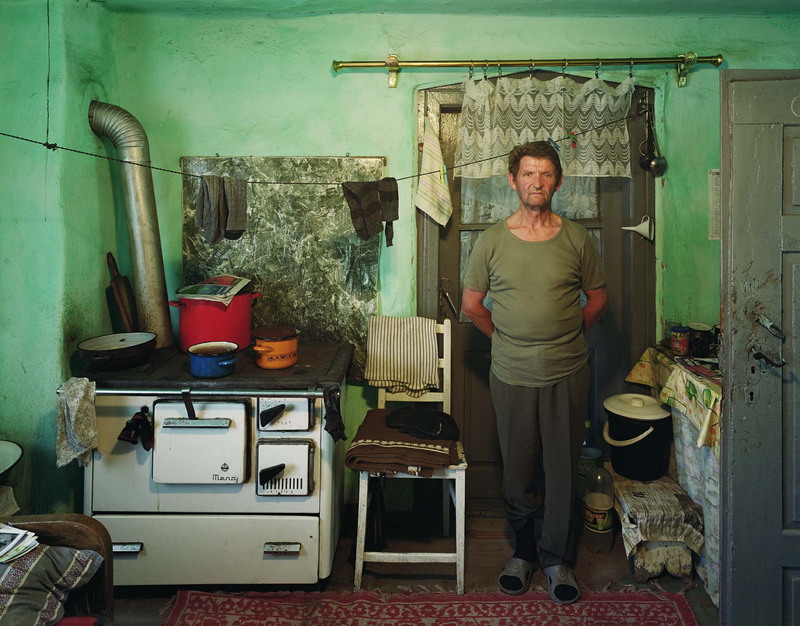 Leventi is a U.S. photographer with Romanian roots, retracing his great-grandfather's life in Romania, where he was held as a political prisoner for seven years. "Based on stories told by my father and grandmother, I traveled to Romania with a 4x5” large format view camera, collecting lost memories on a journey through a country now struggling to put behind it a lifespan of tyranny, while all the best and brightest who dared or were able to left." The photographer's words don't give you the idea of an architecture or landscape project but the output of his work is a narrative of just that. Romania Revisited is a plunge into an unparalleled niche of the living room: the traditional Romanian one, far from the spotlights and the usual standards of beauty. Leventi gives us impromptu interior design projects, crossing unplanned landscapes and public places that seem to be striving for dignity even in decadence. The houses that David Leventi takes us inside are a riot of textures that could be the envy of the weaves created by the Missoni design team. These ones might be a bit faded, of course, but they're certainly not lacking in character. For a trained eye, it is not difficult to see elements of contemporary visual culture in these rural homes, but they are filled with that melancholy that runs through the people who experience certain shapes, certain colours, certain furnishings by tradition and not as a product. And the landscapes that Leventi shows us experience that same situation. Here, in fact, the road winding through the valley is as beautiful as the Norwegian fjords that can be seen in the advertising of SUVs, but they exhibit a different pride, more austere, authentic, rural. Same thing with the buildings, the cities and the public places: you can feel the dignity, beauty and neglect in every detail and shade of colour. It is useful to remember from time to time that architecture also includes all of this.